For a complete list of the available settings, see the table below. ·Rotate 180 radio button upturns an image. ·Rotate 90C radio button rotates the image for 90 degrees clockwise. ·Rotate 90CC radio button rotates the image for 90 degrees counter-clockwise. ·Mirror radio button reflects the image from left to right. 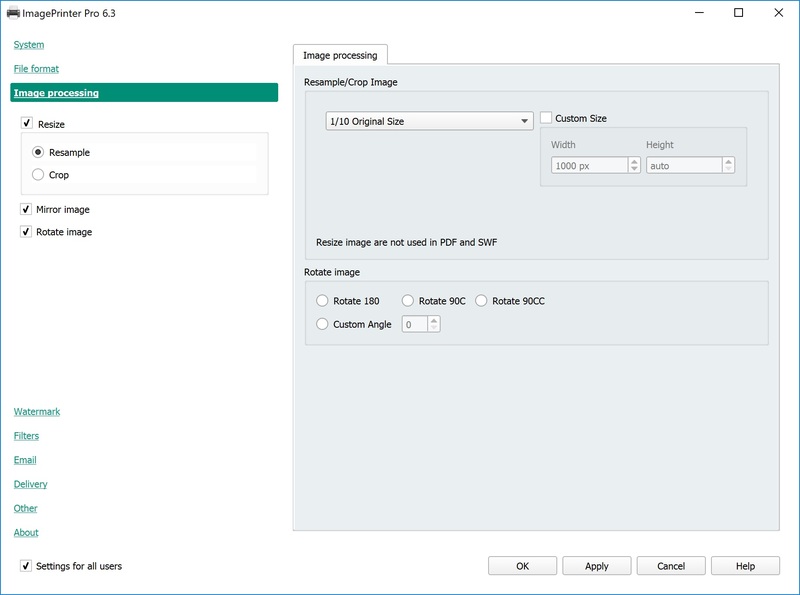 ·Custom Angle radio button allows you to turn an image to a special angle from 0 up to 360 degrees. This function doesn’t work for PDF and SWF files. By default, each change you make will be applied for all users. If you want to apply changes only for yourself, disable the Settings for all users checkbox in the bottom left corner.